Are you looking for something fun to do with your family in the Smoky Mountains? I'm getting ready to tell y'all about something to do for the WHOLE family that everyone is going to enjoy. I'm serious, so you better pay attention! We just got back from our Spring Break trip to Pigeon Forge, TN. As most of you know, the Smoky Mountains of Tennessee are about 3 hours away from our house, and are also the most beautiful and wonderful and amazing place on the face of the Earth (look it up, it's true!). It might also just happen to be my favorite place in the whole entire world. So, you can trust me when I tell you I am pretty well versed in things to do in the area. I'm telling you guys, this is my favorite place on Earth, and I have even looked at rentals and checked out long distance moving companies when we are on vacation just to indulge my dream of moving to the area! I'm also going to be the first to tell you that I love a dinner show. There's something about getting all dressed up and going out with the whole family at night. 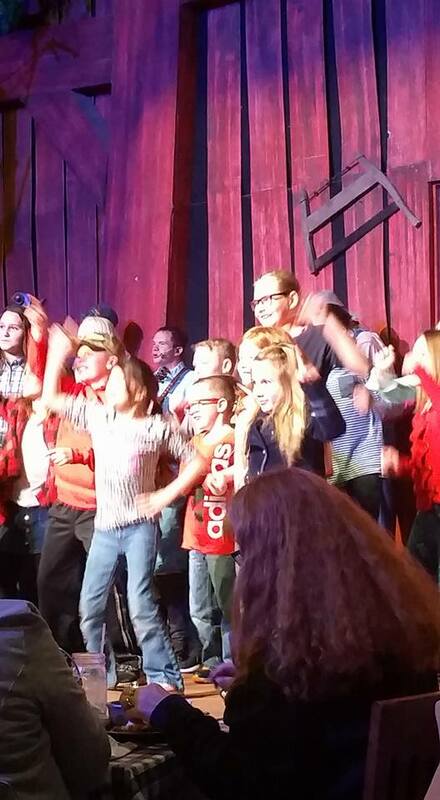 The kids love dinner shows too, we have been to several on our various trips to the area. 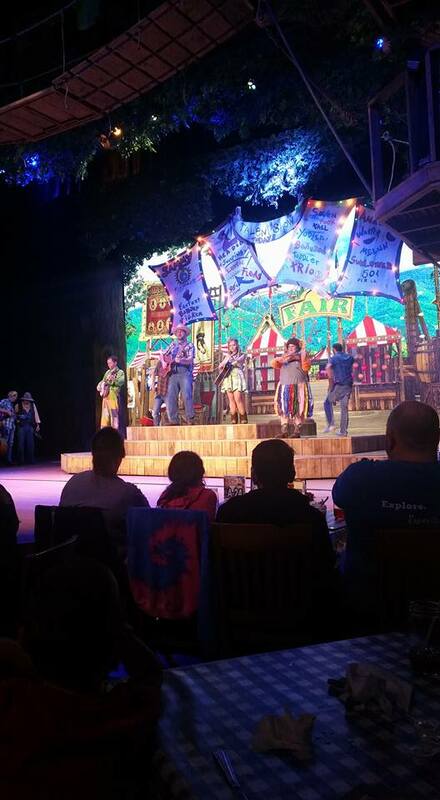 I really like dinner shows because, as the mom, it takes care of both the entertainment, and the dinner. 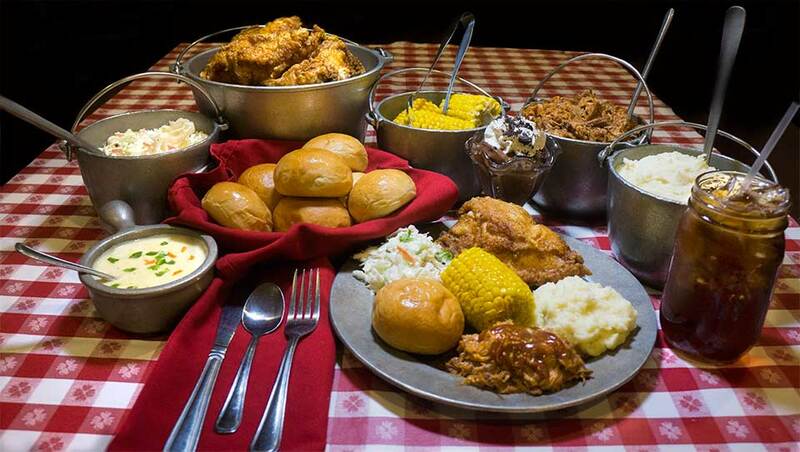 And come on, especially when you are on vacation, the last thing you want to do is worry about dinner! 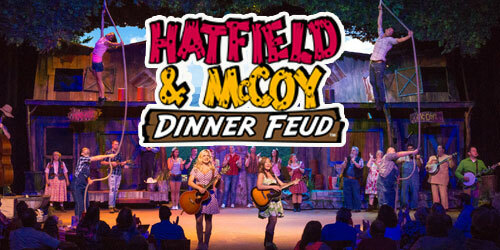 Anyways, the Hatfield and McCoy Dinner Feud is located in Seiverville, just north of Pigeon Forge. If you are coming into town, it's right between the "upside down house" (Wonderworks!) and the "giant boat" (Titanic Museum). It is SUCH a fun atmosphere, just look at the outside of the building! The whole thing is fun, it starts right when you pull up! I mean, there is a petting zoo outside for crying out loud! I'm going to tell you right now, this show is over the top. Everything, the food, the performers, the music, all of it! That's the fun of it, and there really is nothing better! This is the one dinner show in the area that has been able to hold the attention of my ENTIRE family, small kids to teenagers to husbands! My whole family agreed that this show was definitely the highlight of our trip! It's so much fun! You get your pictures taken, you get to hang out and browse around the gift shop, which is full of cool, unique "redneck" items, and then you go in and are seated at your table, where you are served an AMAZING, family style, all you can eat meal! It's sooo good! 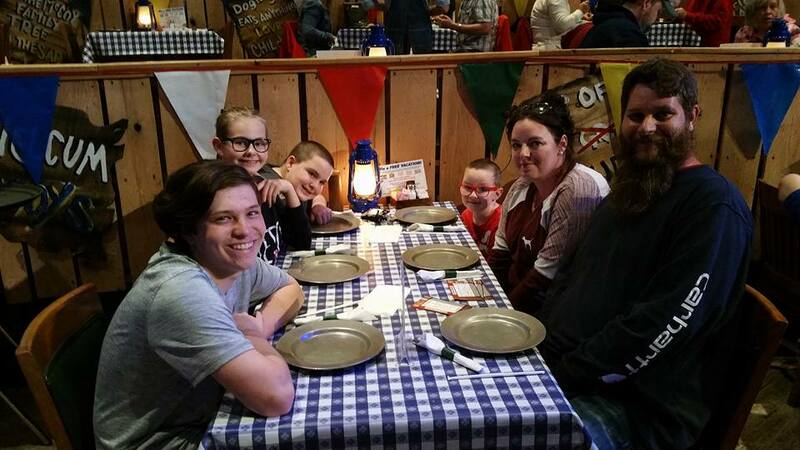 This is the most fun our whole family has had in a long time, especially all of us hanging out and doing things together! Like I mentioned earlier, when I asked the whole family after our trip, this was all agreed to be the most fun part of our trip! We really did have an amazing time! This was by far the highlight of our trip! 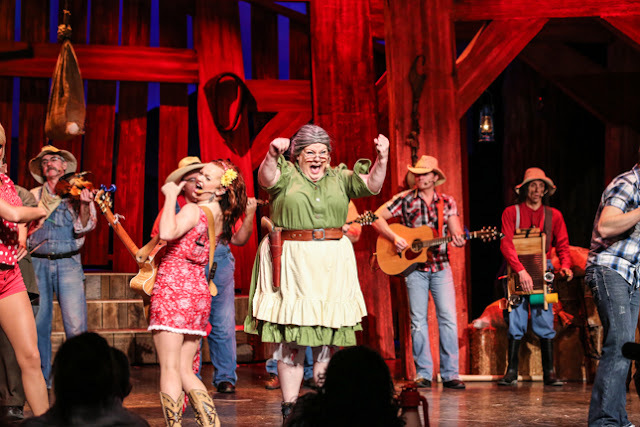 I highly highly recommend this show, and I'd love to check out the Christmas show the next time that we are in town! It's such a fun, family friendly atmosphere that's hard to find anywhere else, and it was something that we will all remember forever! Loved it! 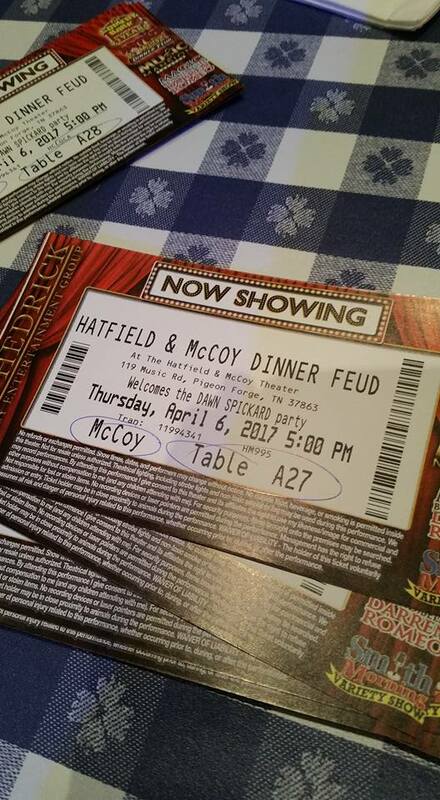 If you want to find out more about the Hatfield and McCoy Dinner Feud, check out their website here!